The 9,000-strong crowd could have hardly realised what a treat they were in for, when France and Japan, the two heavyweights of Group E, locked horns at the Indira Gandhi Atheltic Stadium on Wednesday. French coach Lionel Rouxel later admitted that the game was as tactical as it could ever be. In fact, right from the first whistle, the French sought to contain Japan inside their own half and to tire them out with the ball at their feet. After repeated incisions in the initial 10 minutes, the Europeans got a goal, but not before Amine Gouiri already missed three chances to convert — with Lenny Pintor, Yacine Adli and Maxence Caqueret providing key passes to Gouiri. The striker finally made amends in the 13th minute, but the system applied by the Les Bleus after that was nothing short of a masterclass for those who witnessed it. Not afraid of giving Japan the lion's share of possession, three men — William Bianda, skipper Claudio Gomes and Yacine Adli — stepped up their game like no other 17-year-old had. 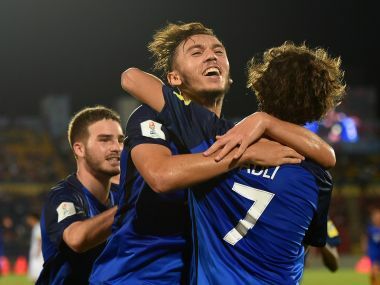 Up front, Adli's 6’1” frame towered over the Japanese midfield and the PSG man made it a point to constantly follow the ball, which meant him putting together scores of brisk horizontal and diagonal runs. Supporting Adli's cause was club-mate Claudio Gomes who reinvented the definition of a "number six". for Tasked with the dirty work of shielding his defenders, and to facilitate forward balls, Gomes tracked back when needed and broke Japanese attacks before it gathered steam. His work meant Keito Nakamura and Takefusa Kubo never received the final balls from their midfield. Then there was William Bianda. A lot had been talked about Takefusa 'Japanese Messi' Kubo, who scored one and set up two in the 6-1 rout of Honduras. But Bianda kept the former FC Barcelona man in his pocket for the entire duration of the match. Although Bianda was guilty of conceding the penalty which Taisei Miyashiro won and converted, the RC Lens defender had a flawless game apart from that one moment of indiscretion. Japan recorded a total tally of just three shots in the entire game, one of which came from a set-piece. Rouxel had a fool-proof strategy that paid great dividends in two primary ways: Japan, who kept passing the ball with maximum number of bodies inside their own half, seemed frustrated. 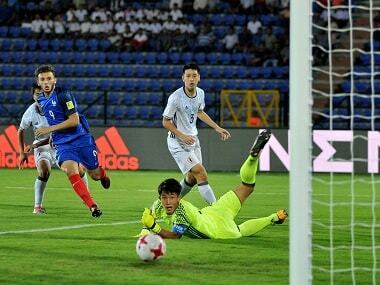 In the rare chance of a Japan attack, they seemed flustered with the opportunity which worked well for France. For a team alien to the weather conditions, adapting could itself be a challenge. But by not constantly running after the ball or with it, France conserved considerable amounts of energy. It was not all on prior planning; individual brilliance came to the fore too. 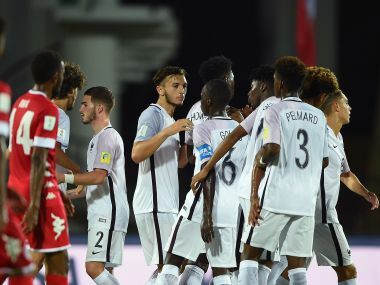 Adli's two-time pass with Gouiri while accelerating near the box and finding just the right ball for his striker for the second goal was testament to PSG's policy on youth development despite their recent big money acquisitions of Neymar and Kylian Mbappe. Tactics and individual skills went hand in hand to create the goal in the 71st minute. Such flashes of brilliance would not have been a possibility if the French were tiring. Gouiri, who was substituted within the first hour on Sunday against New Caledonia, played 86 minutes on Wednesday. Gouiri also moved to top of the goalscorers' charts with four from two games. 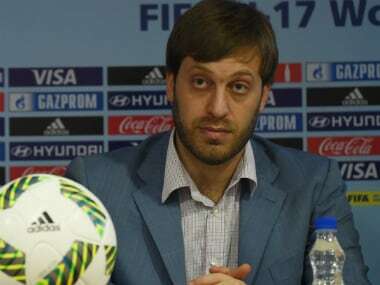 Whispers of scouts from Manchester United, Manchester City and Arsenal being present in Guwahati soon emerged. With Arsene Wenger and representatives of AC Milan already having shown a keen interest in him, it will be interesting to see how tough is Olympique Lyon's resolve surrounding the teenager who got a first-team squad number with the Rhone-Alpine based club this season and is expected to make his first team breakthrough anytime after he returns to France. 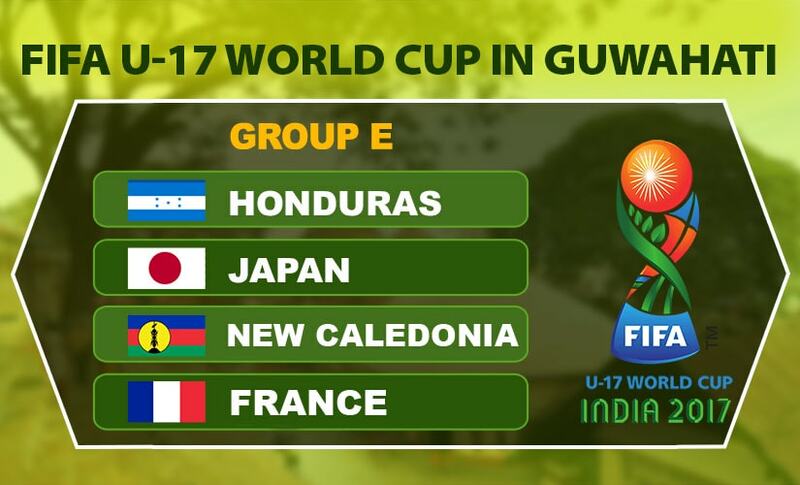 In further bad news for Japan, the team would have one fewer day to prepare for their final group stage match against New Caledonia, since they fly out to Kolkata on Thursday. France, having secured progress into the next round, will be tempted to experiment against Honduras but the incentive of finishing top of the group will see them stay on in Guwahati a bit longer.